Our necks are exposed to a lot of stress. Often, people experience pain in this region caused by a number of different factors. 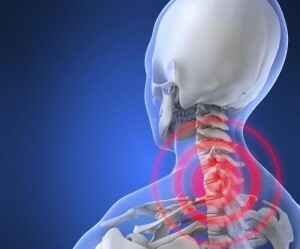 The pain may begin in any of the structures in the neck (muscles, nerves, vertebrae and the disks between them, etc.) and can radiate down to the back and arms. Pain can also be radiated from other areas like the shoulder, jaw, head, or upper arms. A common cause of neck pain is muscle strain or tension – and everyday activities are the culprit. Being bent over a desk all day, poor posture while reading or watching TV, or sleeping in an awkward position can all be causes. It can also be caused by more serious incidents, like falls or accidents. Other causes may include a cervical herniated disk, arthritis, and meningitis.